Thingamajig Theatre Company’s West Side Story opens Friday, June 22 at the Pagosa Springs Center for the Arts. The story — a retelling of Romeo and Juliet, set in the late 1950s — is about young lovers caught between prejudice and warring street gangs in Hells Kitchen on the West Side of New York City. ‘West Side Story’ Jets. 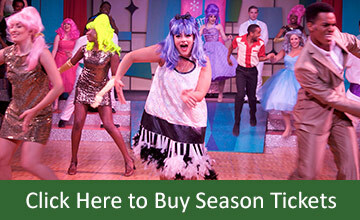 Scenic design by Matt McCarren, Lighting by Laine Wong, Scenic Artist Jill Fives, Costume Design by Adrienne Young. Photo courtesy Jeff Laydon, Pagosa Photography. 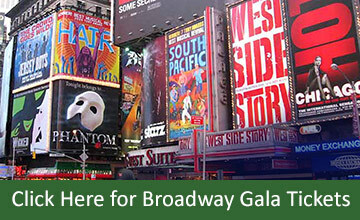 That’s a mouthful, but it truly was a ground-breaking musical when it first appeared on Broadway, and remains one of the most influential and relevant musicals of all time. 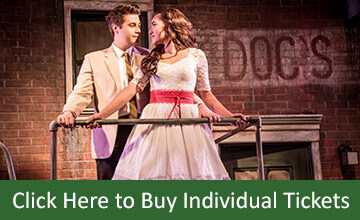 What makes West Side Story, and specifically this production of West Side Story, so special? That question was posed to Director Melissa Firlit and Choreographer Pia Wyatt. Director Melissa Firlit began. “West Side Story takes place in one and half days. That’s the timeline of the show. In that time, we find love. We lose love. The story is vital. It’s necessary. It’s dangerous. It surrounds you. And it’s New York City, so there’s a speed to it, and it’s hard to keep up. Lovers Tony and Maria can’t escape the neighborhood’s two gangs – the established American-born Jets (co-founded by Tony) and the Puerto Rican new arrivals Sharks (founded by Maria’s brother Bernardo) – gangs that are fighting to rule the same block. 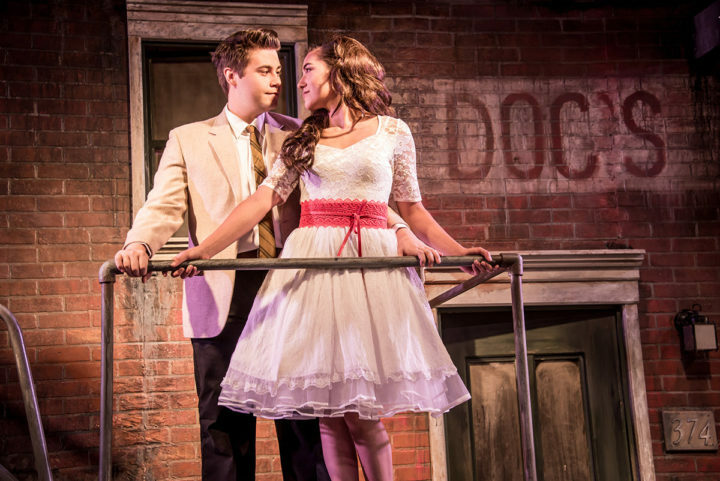 ‘West Side Story’ lovers Tony and Maria. Photo courtesy Jeff Laydon, Pagosa Photography. Indeed. 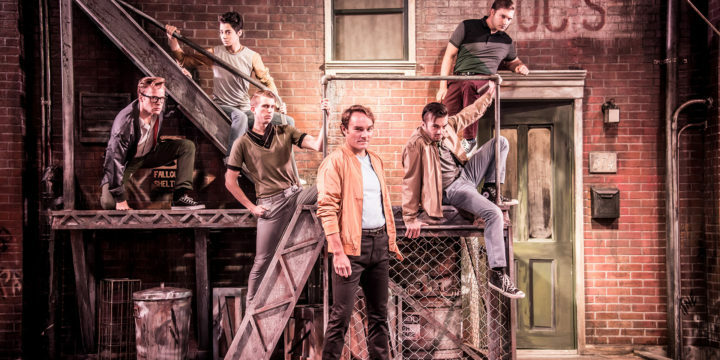 One reason West Side Story was ground-breaking is because the music and choreography served as the narrative for the story and therefore were integral to the plot. West Side Story... Book by Arthur Laurents, Music by Leonard Bernstein, Lyrics by Stephen Soundheim. Thingamajig Theatre Company’s production is directed by Melissa Firlit, Music Direction by Boni McIntyre, Choreography by Pia Wyatt, and stars Nick Drivas as Tony, Zulfiya Asquino as Maria, Katie Whittemore as Anita, Dan Morrison as Riff, and Aaron Catano as Bernardo.